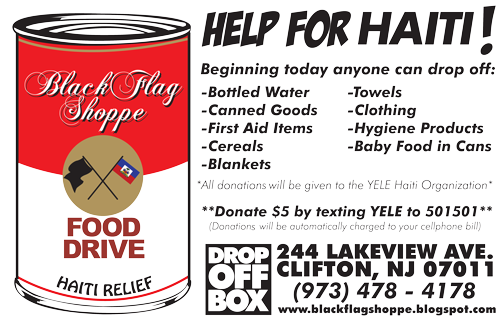 The homie's BlackFlag Shoppe have organized a food drive for Haiti in Clifton, NJ!!! That's what I'm talking about, REAL help people. Let's get on this and do what we can.